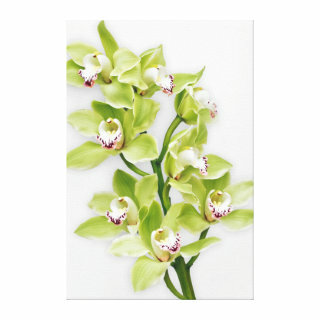 Beautiful and elegant burgundy and green Cymbidium orchid flower wrapped canvas prints. 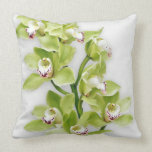 Orchids are tropical flowers, very popular. The colors in this floral print are burgundy, green, and white. Natural and beautiful.